← Katie Henworth foud safe and well! 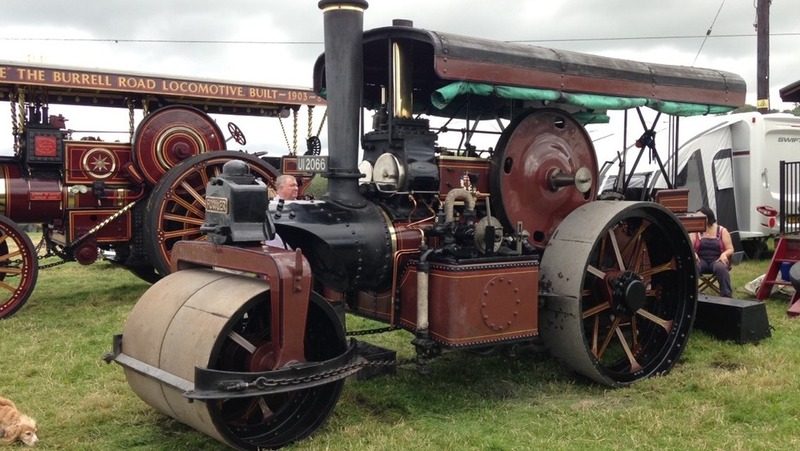 If you’re into steam engines, old vehicles, amazing contraptions and mechanical jumble then there’s a great event on today between Barton under Needwood and Yoxall: Barton Gate Steam Rally. There are all manner of steam vehicles and stationaries, from Mamod models to huge lorries; there are vintage cars, motorbikes, tractors and trucks; displays of falconry, animal charities and other fun stuff – plus a licensed bar and lots of great food. Entry is £6 for adults, and accompanied kids get in free. It’s a lovely friendly event. Why not pop up there? Children’s Fairground Rides, Live Entertainment, Hot And Cold Food, Licensed Bar. This really is quite a large invent in a beautiful rural setting. Image from Bartonsteam.